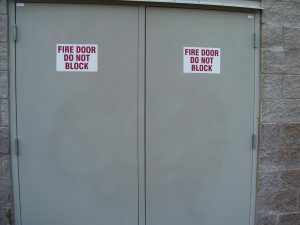 Graffiti is not only unsightly and a huge deterrent for your customers but can be dangerous and expensive too. 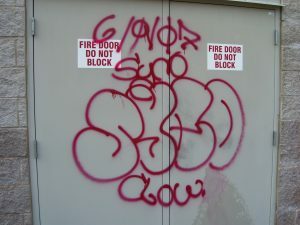 Studies show that 70-75% of the tagging is gang-related, either marking their territory or challenging other gangs. A visible sign of gang tagging activity is an open invitation for others to add graffiti to the area. For those reasons alone, graffiti should be removed as soon as it appears. Unfortunately, Graffiti is here to stay, but if you’ve been tagged, Sparkle Wash can help. We’ve developed a process for removing and treating the area. With a 98% removal success rate, our trained technicians will use the right combination of water pressure and detergents to clean and protect the area from future tagging. Surface protection is a weapon in the fight against the spread of graffiti. We can apply a clear, sacrificial sealer to a commonly tagged area that will aid in quick removal and limit repeated stripping exposure if you’re tagged again. Imagine calling your Sparkle Wash team and with a quick wash, the graffiti is safely removed. Unfortunately, graffiti is here to stay. Maintaining your property value is a difficult venture, but keeping the little darling’s artwork off is vital to contributing to the safety and security of your customers and the people in the surrounding area. First protect, and then remove, FAST.